Unless you’ve been under a media blackout, you’ve probably heard something about the baby powder product liability lawsuits. The cases originated with studies that showed the risk of potential cross-contamination between talcum and asbestos, deposits of which are often found near to one another in the natural environment. Since asbestos is the primary risk factor for developing mesothelioma, a particularly malignant form of lung cancer with a very poor prognosis, doctors who treat patients with mesothelioma typically look for asbestos as the source of the illness. Asbestos itself is a very common kind of insulation. It only becomes carcinogenic when it is ground into a dust and then inhaled. 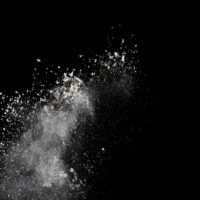 If, however, asbestos dust were to be found mixed in with baby powder, it could present a serious risk to any individual’s home. The most recent verdict against Johnson & Johnson and another company, Imerys, went in the favor of the plaintiffs to the tune of $117 million. The jury determined that the most likely cause of a New Jersey husband’s mesothelioma was the talcum powder he used on a daily basis for decades. An astounding $80 million was awarded in punitive damages alone. Punitive damages are awarded when the defendant is shown to have behaved with a willful disregard for the rights and safety of others. Johnson & Johnson insist that their product does not contain any asbestos dust and that it hasn’t since they company was made aware of asbestos toxicity in the 1970s. Johnson & Johnson are fighting off a different kind of cancer lawsuit involving talcum powder and ovarian cancer. Plaintiffs’ lawyers are arguing that talcum powder is connected to ovarian cancer. A California jury awarded a woman $417 million, and $347 million of that verdict was for punitive damages. However, in October of last year, a Los Angeles Superior Court Judge tossed the verdict, awarding the maligned company a temporary reprieve. Maren Nelson, the judge who tossed the verdict, cited numerous procedural errors including jury misconduct and insufficient evidence on both sides. While this may seem like a win for J&J, the case will be retried. Meanwhile, the company is fighting off an endless array of lawsuits from various women who are claiming that genital exposure to talcum powder is responsible for their ovarian cancer. Nationwide, J&J faces over 3000 suits concerning talcum powder. In both of these cases, plaintiffs’ attorneys argued that Johnson & Johnson was liable because they failed to warn their customers about the potential cancer risk. Johnson & Johnson maintain that their product poses no risk of cancer, and they eliminate any trace of asbestos from the talcum powder that they sell. Nonetheless, there are studies backing claims that talcum powder is linked to various kinds of cancer. If that’s the case and the companies that produce these products knew about a potential risk to their customers, their failure to warn them beforehand certainly shows a callous disregard for their customers’ lives. Hence why punitive damages in these cases have been exceedingly high. If so, there’s a lot you need to know. Don’t hesitate to reach out to the office of Alan Goldfarb, P.A. in Miami for professional assistance with your claim.